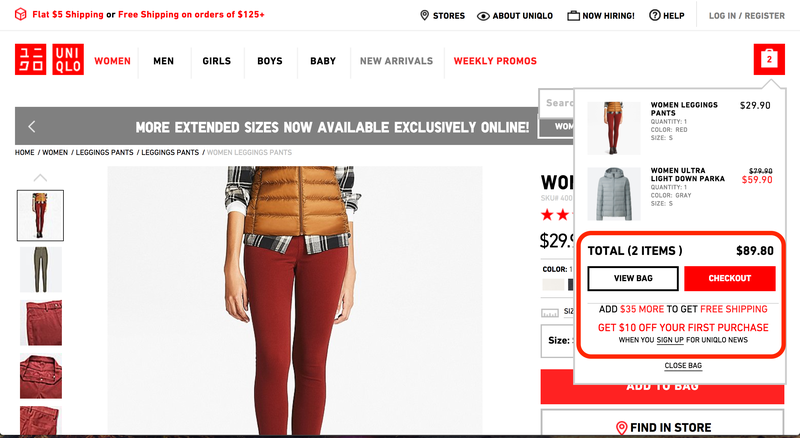 Uniqlo is a Japanese clothing retailer that provides stylish, low-priced items. Their shopping site is easy to navigate and provides users with all the information they need to claim further discounts at a quick glance. 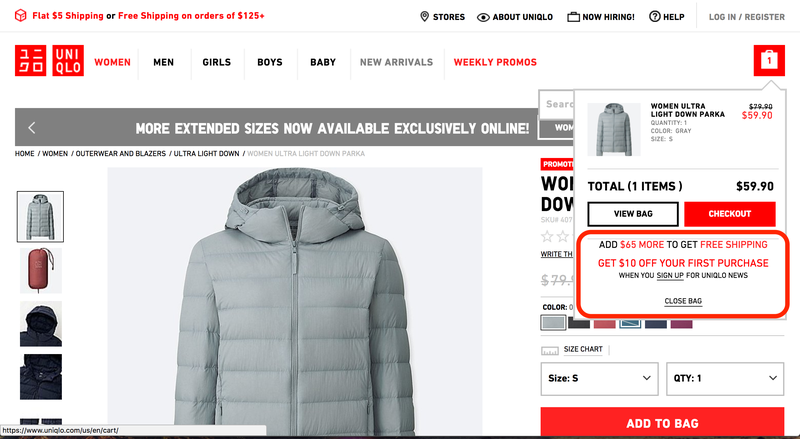 The quick-view cart modal, which appears every time users add something to the cart, lets customers know how many dollars away they are from a free delivery. As users add more items to their cat, the amount in the message gets updated to reflect the user's current total. 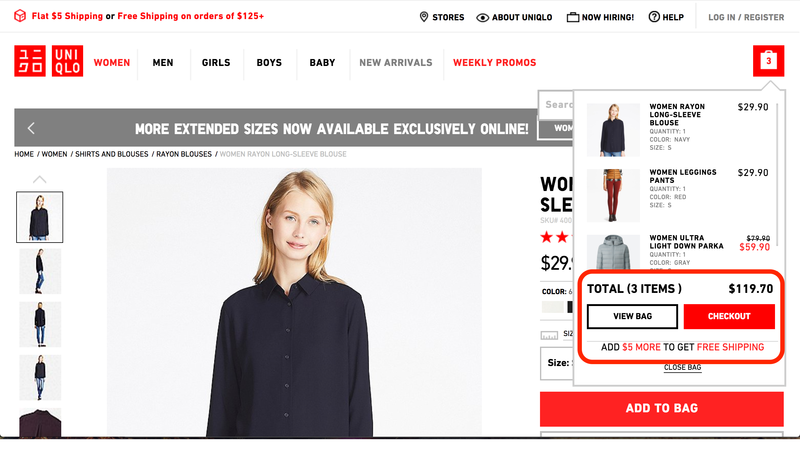 The diminishing amount gives additional motivation to users to reach the free-shipping goal. The cart modals also include other ways users can save, like by signing up for an account with their first order.